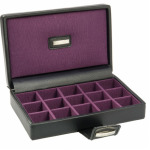 This gorgeous range of jewellery boxes from Dulwich Designs oozes style and sophistication. 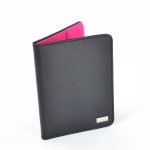 Using high quality leather and suedette lining, this range makes a stylish statement and looks the part on any dressing table. With a range of compartments and sizes you can easily store all of your jewellery from smaller pieces to larger costume jewellery designs. These beautiful quality boxes also make the ideal gift for any jewellery lover.